I LOVE almond butter. I can happily take a spoonful straight from the jar or put it on a banana, apple or square of dark chocolate and find myself completely satiated. Here in Hong Kong (or anywhere for that matter), purchasing organic almond butter can definitely put a dent in the wallet, encouraging me to get my tail in the kitchen and make my own. 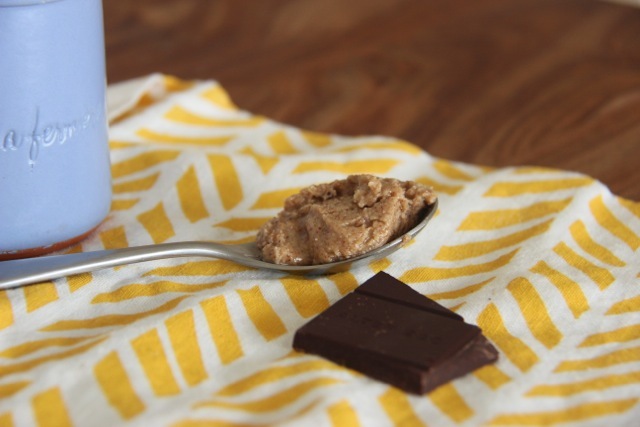 By making your own almond butter--or any nut butter--you get control (fist bump!) on what goes into it and how creative you want to make it. Try combinations like pecan/almond, walnut/pumpkin seed & cashew/macadamia. Yummy! A lot of nut butters out there are full of hydrogenated oils and refined sugars, which is a good reminder to READ YOUR INGREDIENT LABELS. I digress. I can assure you that you will be pleased with your own version and it will taste better than any store bought jar. It's pretty simple to make. Actually, it's ridiculously easy so let's get to it. If you haven't checked out my previous post on soaking, take a look for the details--the whys and the hows. In a nutshell (no pun intended), nuts contain phytic acid & enzyme inhibitors, which can impair digestion causing bloated "nut belly." Also, phytic acid in raw nuts binds to minerals we need like zinc, magnesium, iron and calcium, prohibiting our absorption of these essential nutrients. In fact, nuts contain a considerable amount more phytic acid than legumes or grains. Have a look at Chris Kresser's article on nuts and phytic acid for the rundown. Soaking then drying nuts and seeds makes them more digestible, and will increase the absorption of vitamins and minerals. Needless to say, soaking has its benefits and I highly recommend doing it, especially for making your own nut butters. As for this recipe, I purchased raw organic almonds as many "roasted" almonds on the market contain rancid oils or excess salt. If you purchase blanched almonds, you can likely skip the soaking process. At the very least, if you are short on time, you could skip the soaking and roast the raw almonds to help break down some of the phytic acid. See quick recipe below. I added coconut oil to get the oils breaking down and to reduce blending time because my little food processor was exhausted. Cinnamon adds a nice hint of warmth that is subtle and sweet. The coconut oil and cinnamon are totally optional. You can make it without these (using only almonds) and it will still be delicious. 1. Soak 2 cups of raw almonds overnight (or for 8 hours) with enough water to cover the almonds by a couple of inches and add a 1/2 teaspoon of salt. 2. Drain and rinse soaked almonds several times. 3. Bake almonds on lowest oven setting (or dehydrator if you have one). It will likely take 12-24 hours for the almonds to dry completely, but the almonds will still be "live" containing active enzymes if dried below a temperature of 115F. I'm working with a tiny convection oven that has a manual timer so opted to heat for less time on a higher heat. See Quick Recipe below. Don't stress over the roasting, just do what works best with your time and equipment. After all, nut butter is a treat and not to be consumed in excess. 5. Once it starts to smooth and get creamy you can sprinkle in the cinnamon. Continue to blend, scooping the sides back down if needed, until you've reached the consistency that you prefer. 1. Roast raw almonds in the oven at 120C/250F for 30-45 minutes. Until fragrant and crispy. 2. Blend in food processor for 5-20 minutes. 3. Add coconut oil and cinnamon once the almonds break down into flour. Stir if the butter gets stuck to the side and then continue to blend and pulse until desired consistency. 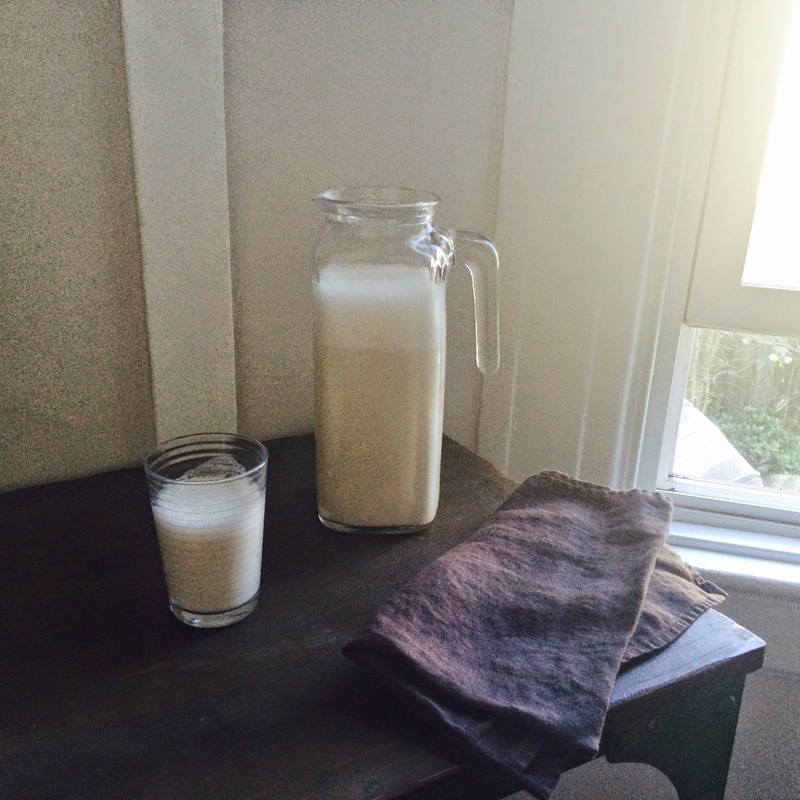 Almond milk has been all the craze to the dairy-free folks over the last couple of years. You'll see over a dozen different kinds at the grocery stores and it's now commonly offered at cafe and restaurants all over. And although I enjoy an occasional dose of creamy sweetness provided by the creation of "nut milks," for me cashew milk is really where it's at! As some of you may know, a homemade nut milk is really the way to go in terms of getting not only the best taste ever but the nutritional aspects as well. Market nut milks are essentially dead as they are pasteurized and full of fillers and thickeners that aren't very good for you AND they end up masking the tastiness which a homemade nut milk has to offer. Abundance flows to me, creativity moves through me and I am thriving. 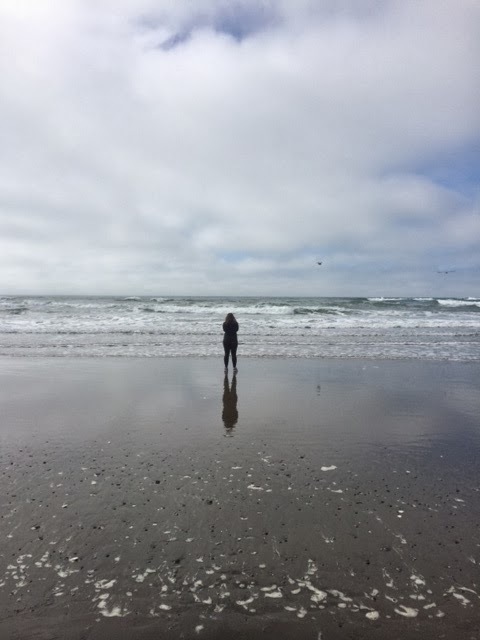 Yesterday, I caught up with my good friend Lindsay of Act The Way You Want to Feel over a long stroll along Ocean Beach. Much like the waves, our talks flowed naturally in and out of creative endeavors, work, love, life and fun. Something about being out in nature with no agenda always gets me in the right place...along with a spark of inspiration from my girl Lindsay! Today is anew. I commit to looking at life with a positive outlook. Start your mornings this week with the intention of being positive and seeing the beauty in all things. Notice how things start to shift for you as you set the tone rather than letting life dictate your view and mood. Take stock of your experiences, see the good and perhaps ponder this: what if the more difficult times might be little hidden blessings. The universe is always supporting you.